Although Russia has upset the US strategy aimed at disintegrating Syria and remapping the Middle East, Washington will not stop trying to implement its plans, Turkish military analysts have told Sputnik, stressing that US President Donald Trump's Jerusalem move is a sign that the Americans will continue to provoke conflicts in the region. Russia has managed to save Syria from disintegration, instigated by the US which invaded the country to implement its geopolitical plan under the pretext of fighting Daesh (ISIS/ISIL) Erdogan Karakus, retired Lt. Gen. of the Turkish Air Force and chairman of the Turkish Union of Retired Officers, told Sputnik Turkey. "Everything is extremely simple and obvious: the United States, which invaded the region in order to implement the 'Greater Middle East' project under the slogan 'Democracy will bring peace,' in fact not only has failed to ensure peace in any country [of the region], but also caused the death of a great number of people," retired Lt. Gen. Karakus emphasized. The Turkish general said that the US bombing of Iraq led to the death of 1 million 200 thousand civilians. "The point is that the United States bears the greatest responsibility for the destruction and chaos in the Middle East," Karakus highlighted. According to the retired lieutenant-general, Russia became the major obstacle in the way of the US geopolitical plan. He recalled former US President Barack Obama saying that the US intended to fight Daesh for more than three years. "What did this mean? Obviously, the United States determined a certain period for the implementation of its plans in the region," Karakus suggested. "By pronouncing these words, Obama officially recognized that the US sought the formation of a new political strategy in Iraq, Turkey and Syria to create an enabling environment for the implementation of the 'Greater Middle East' project." When asked whether the US will continue to maintain its military presence in Syria after Russia's withdrawal of the forces, the Turkish general assumed that Washington is not intending to leave the region. US President Donald Trump's recognition of Jerusalem as Israel's capital proves this, Karakus noted. Stressing that Russia's pull out from Syria poses a certain challenge to the US, the retired lieutenant-general opined that Washington will continue to conduct its operations on the ground. 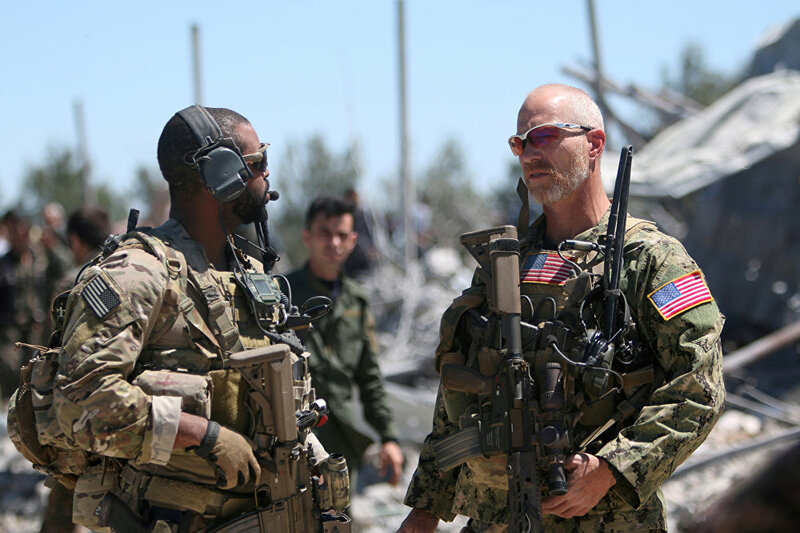 US forces are seen at the Kurdish People's Protection Units (YPG) headquarters after it was hit by Turkish airstrikes in Mount Karachok near Malikiya, Syria April 25, 2017. According to Karakus, the US' military presence in the region serves the interests of Israel in the first place and is related to the issue of the recognition of Jerusalem. It is up to Turkey, Syria, Russia and Iran to prevent Washington form realizing its plans in the Middle East, he suggested. 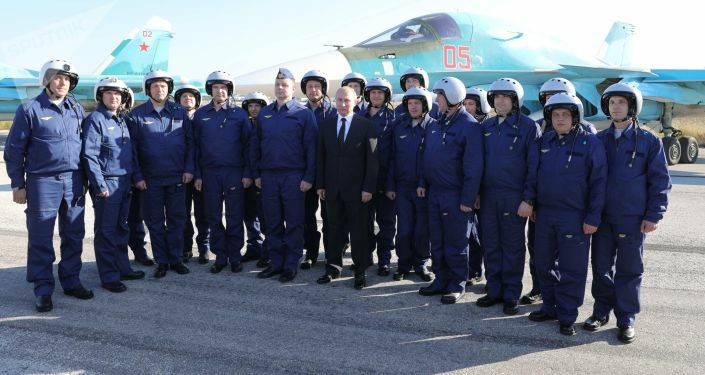 "If Russia did not enter Syria, the situation there would be quite different today," he said. "If the US took control of Syria, it would create a big threat for Turkey and Russia. Until US forces leave Syria, neither Turkey nor its neighbor Russia can be sure of their security," Karakus stressed. Retired Maj.-Gen. Beyazit Karatas, deputy chairman of the non-parliamentary Vatan (Motherland) party echoed Karakus, suggesting that the US won't withdraw from Syria any time soon. "The fact is, the United States has not yet achieved its goals, the most important of which is the creation of an American-Israeli corridor between the northern part of Iraq and the Mediterranean," the retired major-general believes. According to Karatas, having failed to hit its objectives so far the US will not pull out of the region. "From the outset, the US was telling lies to the world community about the true size of its contingent in Syria. For example, the last time she spoke about the presence of 400 military men, but in fact there are at least 5,000 special forces servicemen operating together with the Kurdistan Workers' Party [PKK, designated in Turkey as a terrorist organization]," he pointed out. He stressed that the deployment of US bases in Syria indicates Washington's far-reaching plans in the region and its intention to use Syria as the main springboard. Karatas believes that the US and its coalition planned to overthrow the legitimate government of Bashar al-Assad in December 2015 and create an American-Israeli corridor while seeking to maintain control over the whole Levant region. Although Russia had upset Washington's applecart by kicking off the aerial campaign against Daesh on September 30, 2015, the plans of the US-led coalition to supply hydrocarbons from the Middle East and the Persian Gulf via new oil and gas pipelines still remain intact, according to the retired major-general. "In this sense, the US decision on Jerusalem is a sign that Washington continues to follow its strategy and provokes new conflict situations in the region," Karatas concluded. The views and opinions expressed by Erdogan Karakus, Beyazit Karatas are those of the commentators and do not necessarily reflect those of Sputnik.